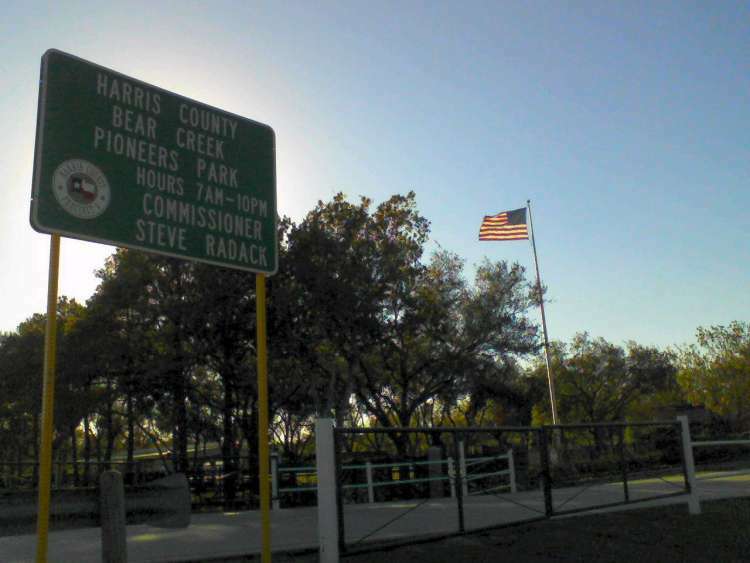 The Bear Creek Parkis also known as “Bear Creek Pioneers Park (Houston)”, or as “Harris County Bear Creek Park (Houston)”. The name of the park draws from the black bears that one time existed in the area and Bear Creek that flowed through the area.Ironically there is currently no creek within the area as there ae no bears within the area. Located in the city of Houston, Texas, Bear Creek Park consist of 2,154 acres of land. One of the best things about the park is that it is entirely free to enter and so you can always pop in whenever you are around the area. With free entry, you can visit Bear Creek anytime of the year. The only thing that park visitors have to pay for is the parks pavilion that needs prior reservation before use. Visitors to the pack are also supposed to bring their own food and drink,as there are no food stores in the park.Ideally, you practically don’t need any money to enjoy this natural gem tucked in Houston County. Visitors are also not required to reserves picnic tables and grills, which gives you the freedom to hold picnics for your family and kids. With its vast acreage, Bear Creek Park has paved roads and ample parking for visitors, which makes it possible the visitors to access every part of the park with ease. As part of its many features the Bear Creek Park has awaking trail and an equestrian trail that make it fun for both children and adults to traverse the park on foot and on horseback. Amazingly, Bear Creek Park features a small zoo that has an interesting collection of wildlife. Some of the animals found in the zoo include emus, ostriches, and buffalos. You will also be surprised to find the magnificent bison at the park. You will also be sure to sport goats, dears, and ducks walking freely within the pristine natural environment. The vast natural and manmade ecosystem that is the Bear Creek Park is not without a history. Its history dates back to the 1940s when the Unites States Army Corps engineers created the expanse as a way of preventing repeated flooding that took place in the 1930s. The Harris County-War Memorial located within the park is also feature of historical proportions. Located next to the-Eldridge Parkway entrance, the-memorial was built in 1985 in honor of all those who died in World-War I. Traditionally, a memorial service is held at the Harris County-War Memorial every Memorial-day. The Bear Creek Park has something to offer for every kind of visitor. The parks is so large that you can hardly explore the entire pack in one go. The park has so much to offer for groups, families, individuals, children, wildlife and nature lovers as well as sports enthusiasts. For those who love nature they can spend their time at the park hiking the paved trails while horse lovers can ride through the equestrian trails to their great satisfaction. With the vast wildlife in the park, birdwatchers and wildlife spotters are in for a treat as they sped endless hours trailing and exploring park. For children and families, the animal zoo is undoubtedly a favorite activity for many children visiting the park. Some of the interesting animals found in the zoo include the buffalo, dear, potbellied pigs, ostriches, and emus. Visiting children undoubtedly experience much fun the zoo’s wildlife variety. Fathers also have the opportunity to teach their children a thing two about fishing when fishing in one of the ponds in the park. With such activities, children get to bond with their parents and learn new skills while having much fun at the same time. For sports enthusiasts, the Bear Creek Park offers numerous opportunities to take part in different kind of sports. Children are also not left behind given their love for play and sport. Bear Creek Park offers both adults and children the opportunity to play a game of choice by offering a number of game and play option. Bear Creek Park offers soccer fields, tennis courts, and enough playground and free spaces where young children can engage in free play. It is common to see families engaging in competitive sport against each other as a fan activity. Parents are also seen cheering on their children as they engage in competitivegames against other children. The availability of a golf lawn within the park also attracts golfers who engage in golf as a leisure activity. Here golfing parents can leave their children to engage in other sports and recreational activities while they play their favorite sport. The availability of a soccer pitch also facilitates the actualization of a multiplayer sport that offers great satisfaction to players who consider playing soccer as a leisure activity. In addition to providing a source of competitive recreational activities, sports at Bear Creek Park also facilitates socialization and the development of friendships.